Wichita leaders are proud of our region’s economic growth. Here are the numbers. From the innovation campus at Wichita State University and development along the Arkansas River in downtown, including a new baseball stadium, to the conversations happening now about a new convention center and performing arts facility, Fluhr said the momentum is pushing to keep Wichita on par with the development of other communities around the country. Given all this, it ought to be easy to find economic data supporting momentum, progress, and growth. Let’s look at some indicators. Personal Income Summary, Wichita, through 2016. Click for larger. Population. In 1990 Wichita was the 80th largest metropolitan area. In 2016 its ranking had fallen to 87. 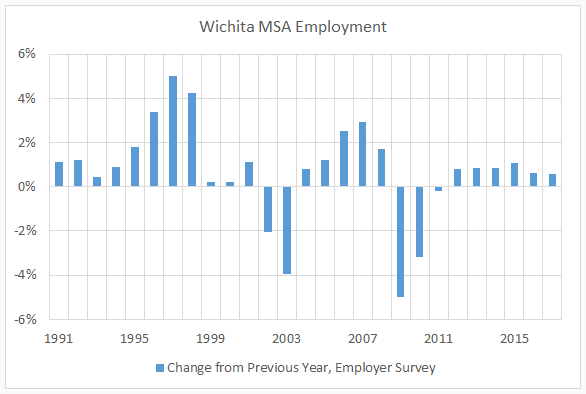 Wichita MSA unemployment through September 2017. Click for larger. 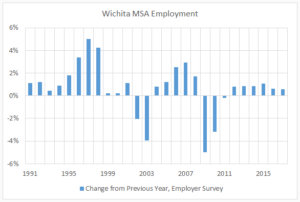 Wichita MSA employment, annual change. Click for larger. The GDP figures are for 2016, and figures for 2017 won’t be available until September. So what happened in 2017? Could 2017 be the genesis of momentum to drive our economy forward? While GDP figures aren’t available, jobs numbers are. For the year 2016, total nonfarm employment in the Wichita metropolitan area grew by 0.62 percent. For 2017, the growth rate was 0.56 percent — a slowdown in the rate of job growth. These job growth figures are far below the rate for the nation, which were 1.79 and 1.58 percent respectively. 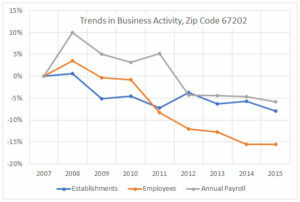 Annual change in job growth, Wichita and USA through 2017. Click for larger. 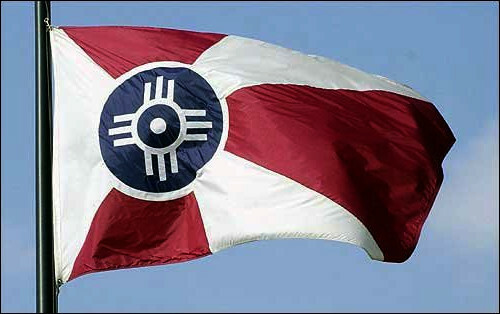 The failure of the Wichita-area economy to thrive is a tragedy. This is compounded by Wichita leaders failing — at least publicly — to acknowledge this. 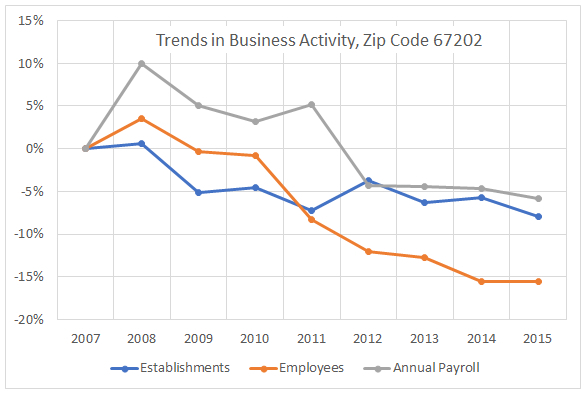 While we expect people like the mayor, council members, and the chamber of commerce to be cheerleaders for our city, we must wonder: Do these people know the economic statistics, or do they choose to ignore or disbelieve them? From private conversations with some of these leaders and others, I think it’s a mix of both. Some are simply uninformed, while others are deliberately distorting the truth about the Wichita economy for political or personal gain. The people who are uninformed or misinformed can be educated, but the liars are beyond rehabilitation and should be replaced.